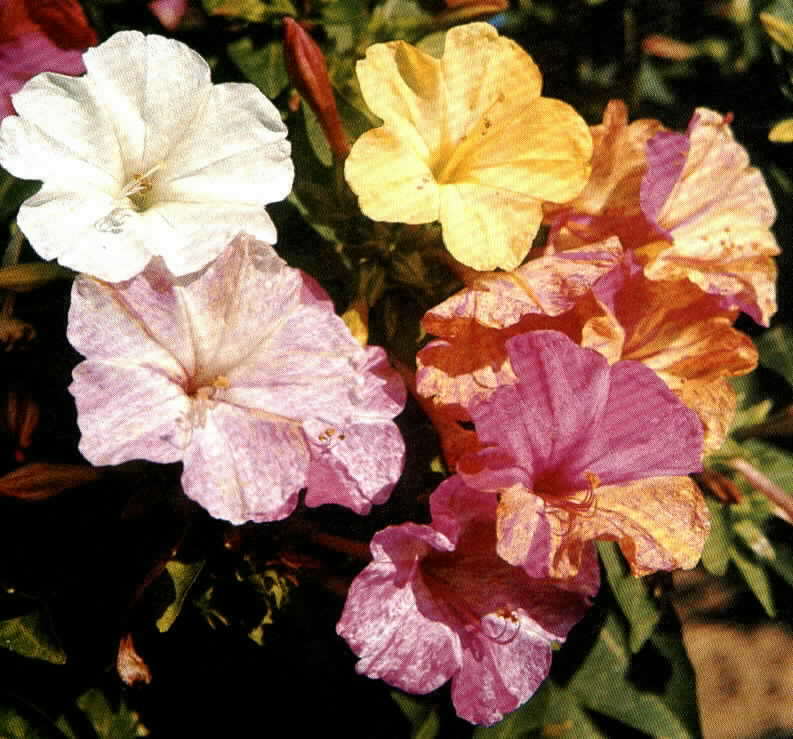 Four O'Clocks are a popular annual that comes in a variety of colors. They can be easily grown from seed. The most unique quality of this flower is that the blooms stay closed until the early evening. When they do open you can smell their sweet fragrance. A beautiful addition to any garden, especially the Moon Garden.